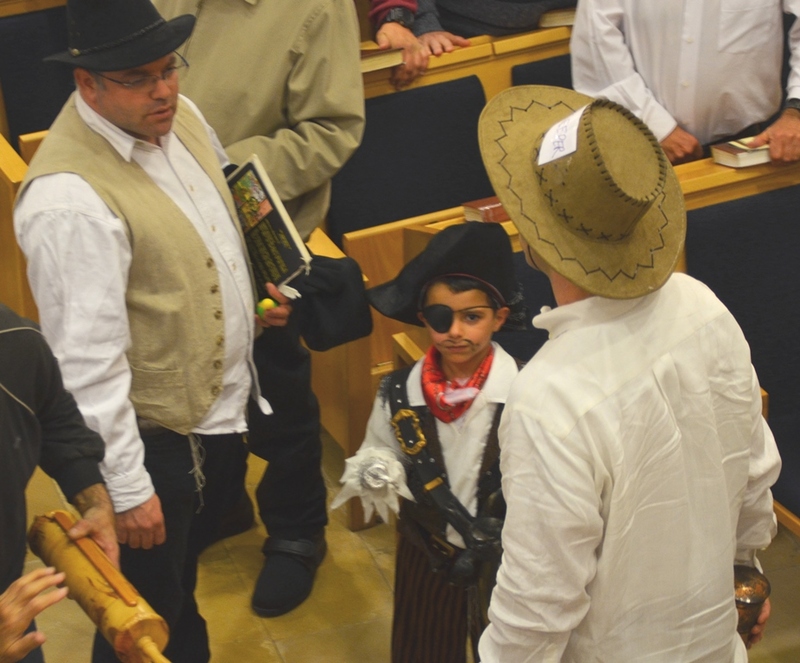 It seems like ages ago, but Purim in Jerusalem, Israel, was celebrated this year on Thursday night and Friday. Families dressed up in costumes. 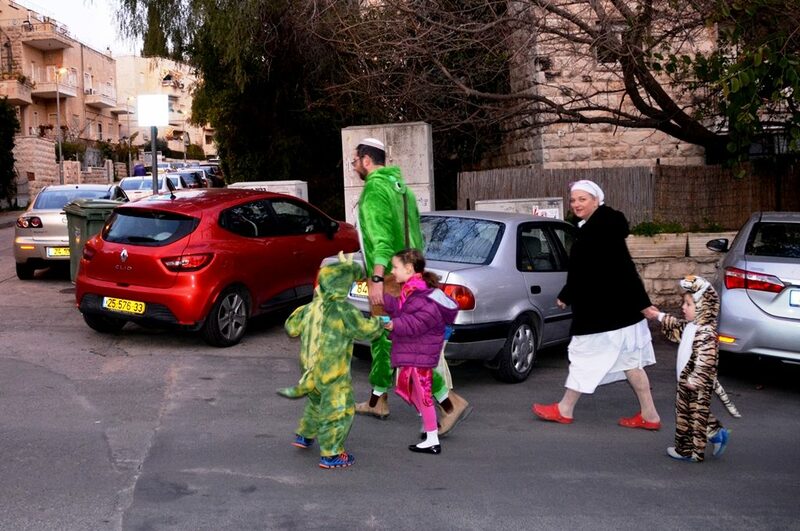 In many neighborhoods they filled the streets as they went to synagogues, community centers, and hundreds of other locations for readings of Megillat Esther. 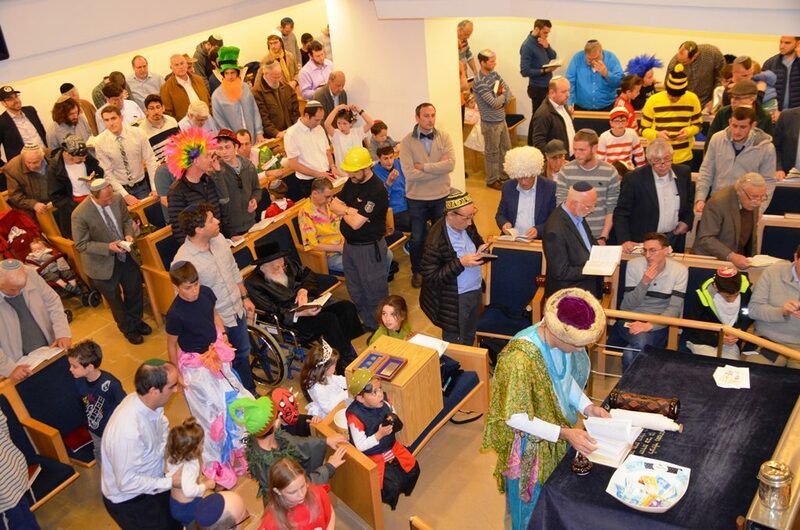 Not all participants dressed up, but many parents and children did, including the reader in this synagogue. and fair damsels above. All quietly listened to the story of Esther and Mordechai and made noise when name of wicked Haman was read. 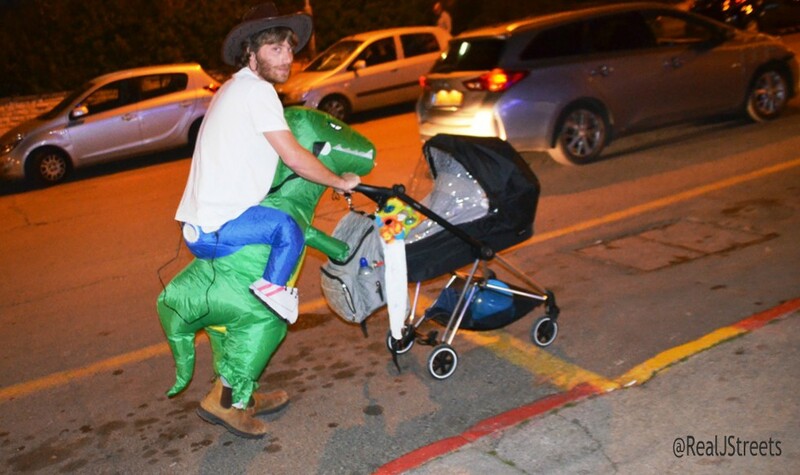 however, this man’s outfit stood out–and up–as he pushed the baby carriage up the street. Tens of thousands were out on the Jerusalem streets on Friday. Some streets were filled with cars, and others were filled with celebrants, not all sober. 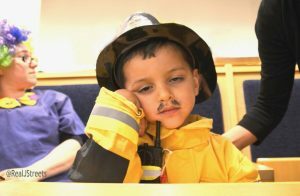 Purim in Jerusalem is exciting enough to tire out even a fearless firefighter. 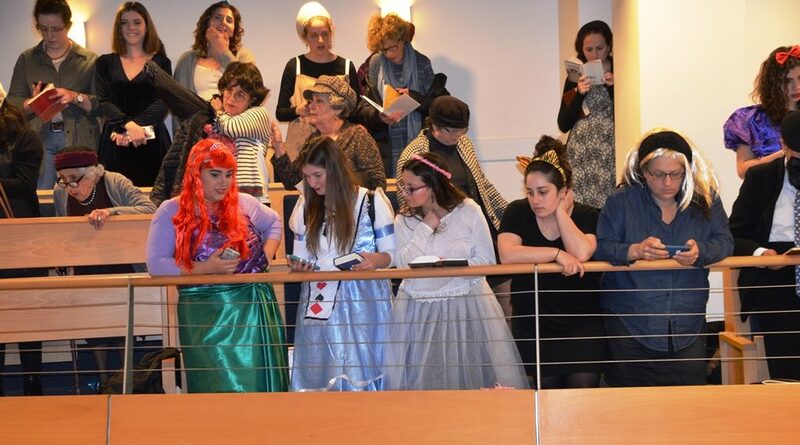 The Purim marathon is finally over. 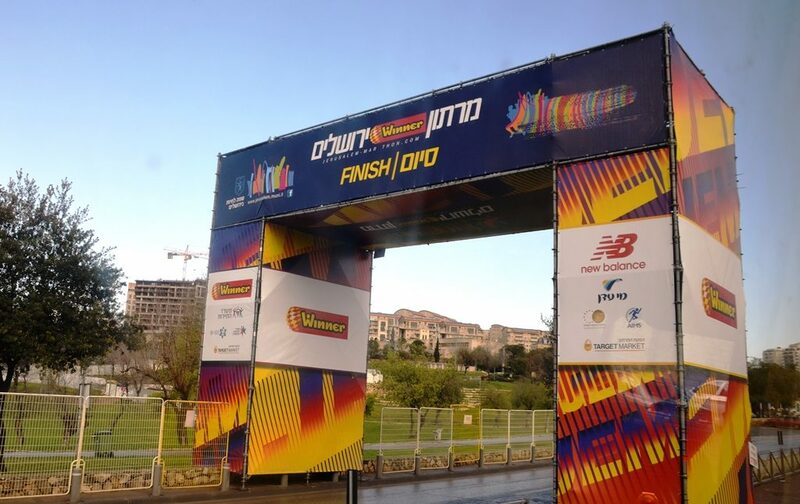 Now it is time to finish preparing for the Jerusalem Marathon on Friday, March 9, 2018. 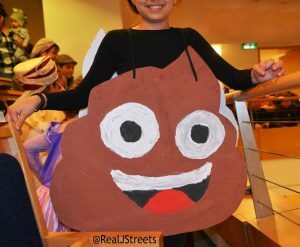 Streets will be closed again and filled with colorful costumes as tens of thousands of runners and their supporters fill the Jerusalem, Israel streets. Looks so fun and colorful! 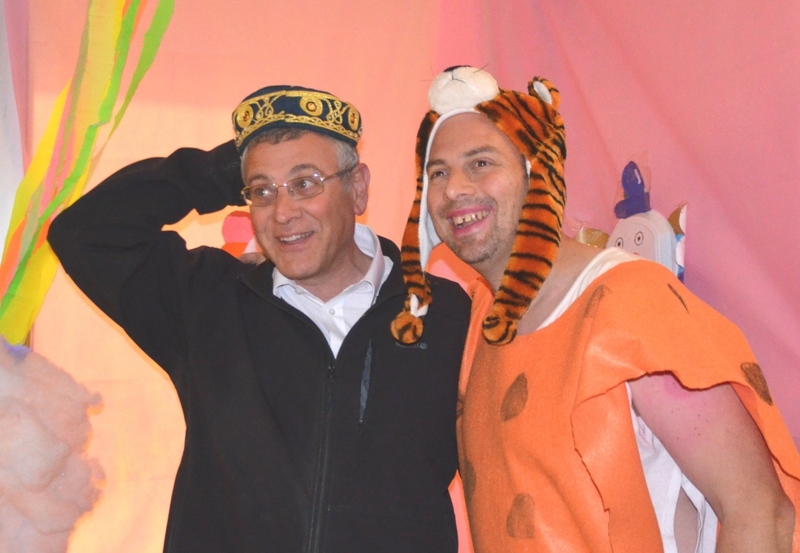 Great to see Purim in Jerusalem thru your pictures and post!Blessings! Thank you. 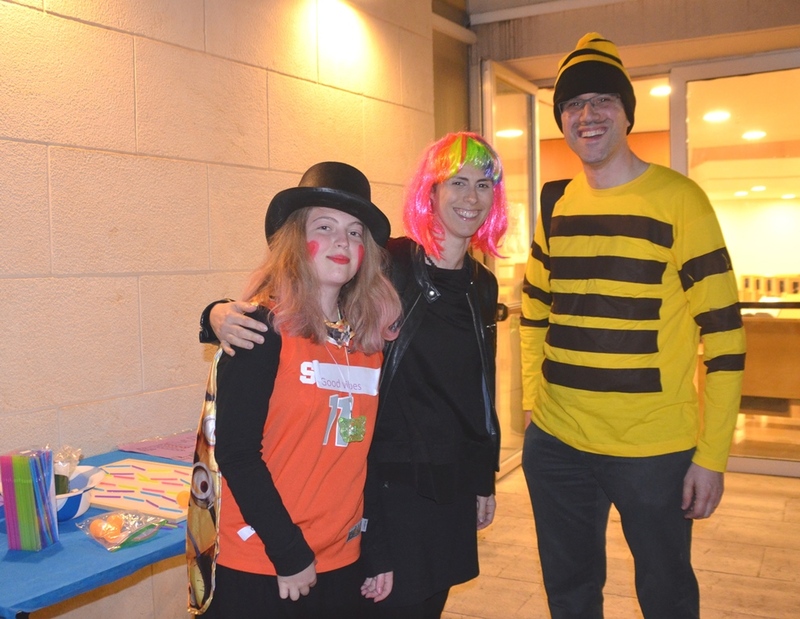 Jerusalem is amazing on Purim, glad you enjoyed. Sorry Jayne, I have no idea how or why that would be happening.